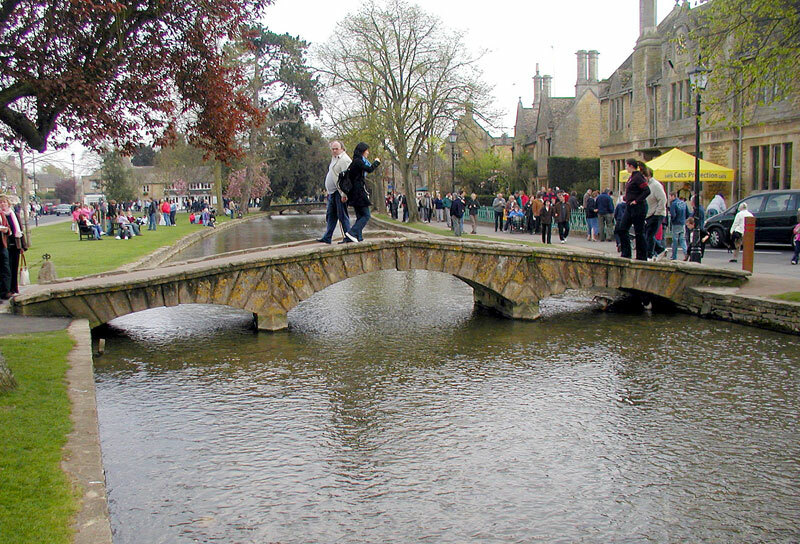 Bourton-on-the-Water is often described as the 'Venice of the Cotswolds' due to its six bridges that span the River Windrush. Two of these elegant arched stone footbridges date from the 18th century and greatly add to the charm of the village, which is sliced in two by the river and its grassy banks. Featuring countless steeply-pitched roofs, stone mullions and dormer windows built from the trademark yellow Cotswold stone, the village is regularly voted one of the prettiest in England. 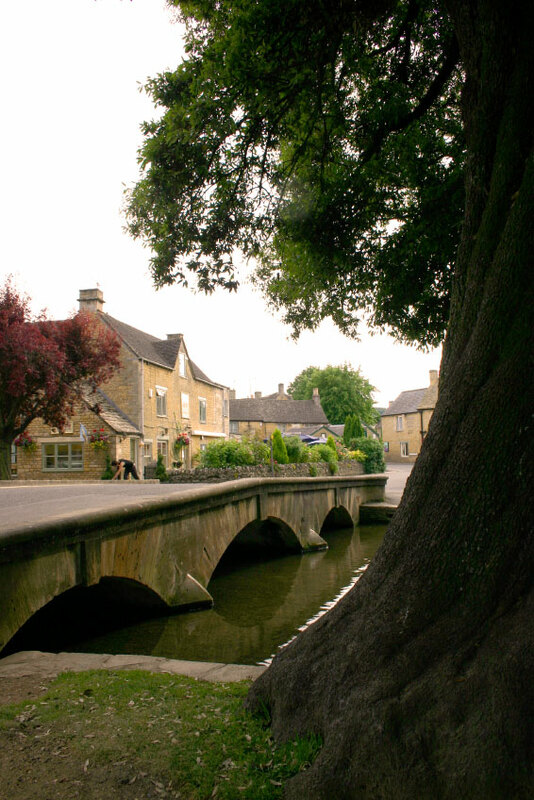 Many of Bourton's cottages are more than three hundred years old and some even date back to Elizabethan times, over four hundred years ago. The village was thought pretty enough to warrant the building of a replica of itself and, in the 1930s, local craftsmen constructed from authentic building materials a Model Village, which was opened to the public on Coronation Day in 1937. The Model Village, constructed on a scale of 1/9th of the real thing, remains a popular tourist attraction today. The Model includes the River Windrush and her six bridges, beech, willow and chestnut trees and the church of St Lawrence. The Model Village even contains a model of itself, built to a 1/9th scale of the original model! 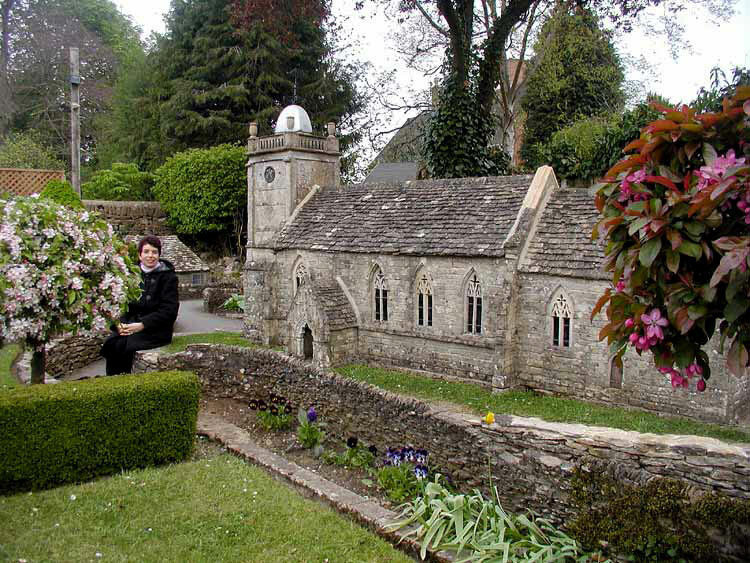 Bourton-on-the-Water is also home to the Model Railway Exhibition, which contains over five hundred square feet of model railway, one of the largest of its kind in Britain. Meanwhile the nearby Cotswold Motor Museum and Village Life Exhibition contains over thirty classic cars and motorbikes and is home to 'Brum', the half-scale replica of a late 1020s Austin 7 'chummy' convertible that was the star of a hit children’s TV show. If trains and cars aren't your thing you can head down to Birdland, an authentic zoo for birds created by the late Len Hill. Birdland, established in 1957, is home to a remarkable collection of exotic birds including penguins, pelicans, toucans and pink flamingos. The attraction moved to its present site, which is set in seven acres of woodland and contains a trout farm, in 1989. There are more than five hundred species of birds in more than fifty aviaries including tropical, temperate and desert climates, as well as a number of bird of prey displays. The River Windrush, which forms part of the Thames catchment, is home to a wide variety of fish including trout, grayling, chub, roach and dace and, until the 1980s, native crayfish. The river waters which like many others overflowed in 2007, were used in cloth and woollen blanket making in Witney, a town in Oxfordshire, in the 17th century. The village copes well with its influx of tourists during the summer months and a selection of pubs, coffee shops, ice-cream parlours and restaurants make for a pleasant backdrop against which to enjoy the charm of the Cotswolds.